Lane Keeping Assist, Dual Zone A/C, WiFi Hotspot, Keyless Start. RUBY FLARE PEARL exterior and BLACK interior, Hybrid LE trim AND MORE! KEY FEATURES INCLUDE All Wheel Drive, Back-Up Camera, Hybrid, iPod/MP3 Input, Onboard Communications System, Aluminum Wheels, Keyless Start, Dual Zone A/C, Lane Keeping Assist, Smart Device Integration, WiFi Hotspot Rear Spoiler, MP3 Player, Keyless Entry, Privacy Glass, Steering Wheel Controls. OPTION PACKAGES BLIND SPOT MONITOR W/RCTA, ALL WEATHER LINER PACKAGE (DISCONTINUED) Cargo Tray, All Weather Floor Liners. Toyota Hybrid LE with RUBY FLARE PEARL exterior and BLACK interior features a 4 Cylinder Engine with 219 HP at 5700 RPM*. WHO WE ARE This great value located at O'Brien Toyota in Indianapolis. See the difference being family-owned makes in your customer service. Our family works for you. Since 1933. Horsepower calculations based on trim engine configuration. Please confirm the accuracy of the included equipment by calling us prior to purchase. NAV, Heated Seats, Sunroof, Alloy Wheels. Hybrid XSE trim, SILVER SKY METALLIC/MIDNIGHT BLACK METALLIC ROOF exterior and BLACK interior SEE MORE! KEY FEATURES INCLUDE Sunroof, All Wheel Drive, Power Liftgate, Heated Driver Seat, Back-Up Camera, Hybrid, Onboard Communications System, Aluminum Wheels, Keyless Start, Dual Zone A/C, Blind Spot Monitor, WiFi Hotspot, Cross-Traffic Alert, Lane Keeping Assist, Heated Seats. Rear Spoiler, Keyless Entry, Remote Trunk Release, Privacy Glass, Steering Wheel Controls. OPTION PACKAGES RADIO: ENTUNE 3.0 PREMIUM JBL AUDIO W/NAVIGATION JBL Clari-Fi, 11-speakers w/subwoofer, 8 touch screen, AM/FM/HD Radio, aux port, USB media port, 4 USB charging ports, dynamic navigation w/3-year trial, dynamic point of interest search, dynamic voice recognition, hands-free phone capability and music streaming via Bluetooth wireless technology, Siri Eyes Free, Apple CarPlay compatible, SiriusXM w/3-month all access trial, Toyota connected services safety connect w/3-year trial, service connect w/3-year trial, remote connect w/6-month trial, Wi-Fi connect powered by Verizon w/up to 2GB within 6-month trial and destination assist w/6-month trial. Toyota Hybrid XSE with SILVER SKY METALLIC/MIDNIGHT BLACK METALLIC ROOF exterior and BLACK interior features a 4 Cylinder Engine with 219 HP at 5700 RPM*. BUY FROM AN AWARD WINNING DEALER This great value located at O'Brien Toyota in Indianapolis. See the difference being family-owned makes in your customer service. Our family works for you. Since 1933. Horsepower calculations based on trim engine configuration. Fuel economy calculations based on original manufacturer data for trim engine configuration. Please confirm the accuracy of the included equipment by calling us prior to purchase. Heated Seats, Nav System, Blind Spot Monitor, Smart Device Integration. Advanced trim, HYPERSONIC RED exterior and BLACK interior. AND MORE! KEY FEATURES INCLUDE Navigation, Heated Driver Seat, Back-Up Camera, Premium Sound System, Satellite Radio, iPod/MP3 Input, Onboard Communications System, Aluminum Wheels, Keyless Start, Blind Spot Monitor, Smart Device Integration, Cross-Traffic Alert, Lane Keeping Assist, Heated Seats. MP3 Player, Keyless Entry, Child Safety Locks, Steering Wheel Controls, Electronic Stability Control. OPTION PACKAGES ALL-WEATHER FLOOR LINER PACKAGE all-weather floor liners and cargo liner. Toyota Advanced with HYPERSONIC RED exterior and BLACK interior features a 4 Cylinder Engine with 121 HP at 5200 RPM*. WHO WE ARE This great value located at O'Brien Toyota in Indianapolis. See the difference being family-owned makes in your customer service. Our family works for you. Since 1933. Horsepower calculations based on trim engine configuration. Please confirm the accuracy of the included equipment by calling us prior to purchase. LE trim, MIDNIGHT BLACK METALLIC exterior and BLACK interior. Lane Keeping Assist, Keyless Start. FUEL EFFICIENT 50 MPG Hwy/54 MPG City! CLICK NOW! KEY FEATURES INCLUDE Back-Up Camera, Hybrid, iPod/MP3 Input, Bluetooth, CD Player, Aluminum Wheels, Keyless Start, Lane Keeping Assist, Cross-Traffic Alert, Blind Spot Monitor Rear Spoiler, MP3 Player, Keyless Entry, Steering Wheel Controls, Child Safety Locks. OPTION PACKAGES ALL-WEATHER FLOOR LINER PACKAGE All-Weather Floor Liners, Cargo Liner. Toyota LE with MIDNIGHT BLACK METALLIC exterior and BLACK interior features a 4 Cylinder Engine with 121 HP at 5200 RPM*. WHY BUY FROM US This great value located at O'Brien Toyota in Indianapolis. See the difference being family-owned makes in your customer service. Our family works for you. Since 1933. Horsepower calculations based on trim engine configuration. Fuel economy calculations based on original manufacturer data for trim engine configuration. Please confirm the accuracy of the included equipment by calling us prior to purchase. MIDNIGHT BLACK METALLIC exterior and BLACK interior, LE trim. EPA 50 MPG Hwy/54 MPG City! Lane Keeping Assist, Cross-Traffic Alert SEE MORE! KEY FEATURES INCLUDE Back-Up Camera, Hybrid, iPod/MP3 Input, Bluetooth, CD Player, Aluminum Wheels, Keyless Start, Lane Keeping Assist, Cross-Traffic Alert, Blind Spot Monitor Rear Spoiler, MP3 Player, Keyless Entry, Steering Wheel Controls, Child Safety Locks. OPTION PACKAGES ALL-WEATHER FLOOR LINER PACKAGE All-Weather Floor Liners, Cargo Liner. Toyota LE with MIDNIGHT BLACK METALLIC exterior and BLACK interior features a 4 Cylinder Engine with 121 HP at 5200 RPM*. MORE ABOUT US This great value located at O'Brien Toyota in Indianapolis. See the difference being family-owned makes in your customer service. Our family works for you. Since 1933. Horsepower calculations based on trim engine configuration. Fuel economy calculations based on original manufacturer data for trim engine configuration. Please confirm the accuracy of the included equipment by calling us prior to purchase. LE trim, ELECTRIC STORM BLUE exterior and BLACK interior. EPA 50 MPG Hwy/54 MPG City! Lane Keeping Assist, Cross-Traffic Alert SEE MORE! KEY FEATURES INCLUDE Back-Up Camera, Hybrid, iPod/MP3 Input, Bluetooth, CD Player, Aluminum Wheels, Keyless Start, Lane Keeping Assist, Cross-Traffic Alert, Blind Spot Monitor Rear Spoiler, MP3 Player, Keyless Entry, Steering Wheel Controls, Child Safety Locks. OPTION PACKAGES ALL-WEATHER FLOOR LINER PACKAGE All-Weather Floor Liners, Cargo Liner. Toyota LE with ELECTRIC STORM BLUE exterior and BLACK interior features a 4 Cylinder Engine with 121 HP at 5200 RPM*. 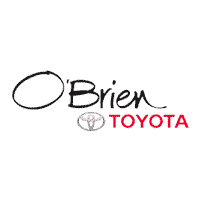 VISIT US TODAY This great value located at O'Brien Toyota in Indianapolis. See the difference being family-owned makes in your customer service. Our family works for you. Since 1933. Horsepower calculations based on trim engine configuration. Fuel economy calculations based on original manufacturer data for trim engine configuration. Please confirm the accuracy of the included equipment by calling us prior to purchase. Lane Keeping Assist, Keyless Start, Blind Spot Monitor. EPA 50 MPG Hwy/54 MPG City! SUPERSONIC RED exterior and BLACK interior CLICK ME! KEY FEATURES INCLUDE Back-Up Camera, Hybrid, iPod/MP3 Input, Bluetooth, CD Player, Aluminum Wheels, Keyless Start, Lane Keeping Assist, Cross-Traffic Alert, Blind Spot Monitor. Rear Spoiler, MP3 Player, Keyless Entry, Steering Wheel Controls, Child Safety Locks. OPTION PACKAGES ALL-WEATHER FLOOR LINER PACKAGE All-Weather Floor Liners, Cargo Liner. Toyota LE with SUPERSONIC RED exterior and BLACK interior features a 4 Cylinder Engine with 121 HP at 5200 RPM*. OUR OFFERINGS This great value located at O'Brien Toyota in Indianapolis. See the difference being family-owned makes in your customer service. Our family works for you. Since 1933. Horsepower calculations based on trim engine configuration. Fuel economy calculations based on original manufacturer data for trim engine configuration. Please confirm the accuracy of the included equipment by calling us prior to purchase. MAGNETIC GRAY METALLIC exterior and BLACK interior, LE trim. EPA 48 MPG Hwy/52 MPG City! Cross-Traffic Alert, Keyless Start, CD Player CLICK ME! KEY FEATURES INCLUDE All Wheel Drive, Back-Up Camera, Hybrid, iPod/MP3 Input, Bluetooth, CD Player, Aluminum Wheels, Keyless Start, Cross-Traffic Alert, Blind Spot Monitor, Lane Keeping Assist. Rear Spoiler, MP3 Player, Keyless Entry, Steering Wheel Controls, Child Safety Locks. OPTION PACKAGES ALL-WEATHER FLOOR LINER PACKAGE All-Weather Floor Liners, Cargo Liner. Toyota LE with MAGNETIC GRAY METALLIC exterior and BLACK interior features a 4 Cylinder Engine with 121 HP at 5200 RPM*. VISIT US TODAY This great value located at O'Brien Toyota in Indianapolis. See the difference being family-owned makes in your customer service. Our family works for you. Since 1933. Horsepower calculations based on trim engine configuration. Fuel economy calculations based on original manufacturer data for trim engine configuration. Please confirm the accuracy of the included equipment by calling us prior to purchase. LE trim, MIDNIGHT BLACK METALLIC exterior and BLACK interior. FUEL EFFICIENT 48 MPG Hwy/52 MPG City! Cross-Traffic Alert, Keyless Start SEE MORE! KEY FEATURES INCLUDE All Wheel Drive, Back-Up Camera, Hybrid, iPod/MP3 Input, Bluetooth, CD Player, Aluminum Wheels, Keyless Start, Cross-Traffic Alert, Blind Spot Monitor, Lane Keeping Assist. Rear Spoiler, MP3 Player, Keyless Entry, Steering Wheel Controls, Child Safety Locks. OPTION PACKAGES ALL-WEATHER FLOOR LINER PACKAGE All-Weather Floor Liners, Cargo Liner. Toyota LE with MIDNIGHT BLACK METALLIC exterior and BLACK interior features a 4 Cylinder Engine with 121 HP at 5200 RPM*. MORE ABOUT US This great value located at O'Brien Toyota in Indianapolis. See the difference being family-owned makes in your customer service. Our family works for you. Since 1933. Horsepower calculations based on trim engine configuration. Fuel economy calculations based on original manufacturer data for trim engine configuration. Please confirm the accuracy of the included equipment by calling us prior to purchase. SUPERSONIC RED exterior and BLACK interior, LE trim. Cross-Traffic Alert, Keyless Start. FUEL EFFICIENT 48 MPG Hwy/52 MPG City! CLICK NOW! KEY FEATURES INCLUDE All Wheel Drive, Back-Up Camera, Hybrid, iPod/MP3 Input, Bluetooth, CD Player, Aluminum Wheels, Keyless Start, Cross-Traffic Alert, Blind Spot Monitor, Lane Keeping Assist. Rear Spoiler, MP3 Player, Keyless Entry, Steering Wheel Controls, Child Safety Locks. OPTION PACKAGES ALL-WEATHER FLOOR LINER PACKAGE All-Weather Floor Liners, Cargo Liner. Toyota LE with SUPERSONIC RED exterior and BLACK interior features a 4 Cylinder Engine with 121 HP at 5200 RPM*. MORE ABOUT US This great value located at O'Brien Toyota in Indianapolis. See the difference being family-owned makes in your customer service. Our family works for you. Since 1933. Horsepower calculations based on trim engine configuration. Fuel economy calculations based on original manufacturer data for trim engine configuration. Please confirm the accuracy of the included equipment by calling us prior to purchase. Cross-Traffic Alert, Keyless Start. FUEL EFFICIENT 48 MPG Hwy/52 MPG City! LE trim, SUPERSONIC RED exterior and BLACK interior CLICK NOW! KEY FEATURES INCLUDE All Wheel Drive, Back-Up Camera, Hybrid, iPod/MP3 Input, Bluetooth, CD Player, Aluminum Wheels, Keyless Start, Cross-Traffic Alert, Blind Spot Monitor, Lane Keeping Assist. Rear Spoiler, MP3 Player, Keyless Entry, Steering Wheel Controls, Child Safety Locks. OPTION PACKAGES ALL-WEATHER FLOOR LINER PACKAGE All-Weather Floor Liners, Cargo Liner. Toyota LE with SUPERSONIC RED exterior and BLACK interior features a 4 Cylinder Engine with 121 HP at 5200 RPM*. OUR OFFERINGS This great value located at O'Brien Toyota in Indianapolis. See the difference being family-owned makes in your customer service. Our family works for you. Since 1933. Horsepower calculations based on trim engine configuration. Fuel economy calculations based on original manufacturer data for trim engine configuration. Please confirm the accuracy of the included equipment by calling us prior to purchase. Heated Seats, Cross-Traffic Alert. CLASSIC SILVER METALLIC exterior and MOONSTONE interior, XLE trim. EPA 50 MPG Hwy/54 MPG City! CLICK ME! KEY FEATURES INCLUDE Heated Driver Seat, Back-Up Camera, Hybrid, iPod/MP3 Input, Bluetooth, CD Player, Aluminum Wheels, Keyless Start, Cross-Traffic Alert, Lane Keeping Assist, Blind Spot Monitor, Heated Seats. Rear Spoiler, MP3 Player, Keyless Entry, Child Safety Locks, Steering Wheel Controls. OPTION PACKAGES ALL-WEATHER FLOOR LINER PACKAGE All-Weather Floor Liners, Cargo Liner. Toyota XLE with CLASSIC SILVER METALLIC exterior and MOONSTONE interior features a 4 Cylinder Engine with 121 HP at 5200 RPM*. VISIT US TODAY This great value located at O'Brien Toyota in Indianapolis. See the difference being family-owned makes in your customer service. Our family works for you. Since 1933. Horsepower calculations based on trim engine configuration. Fuel economy calculations based on original manufacturer data for trim engine configuration. Please confirm the accuracy of the included equipment by calling us prior to purchase. Heated Seats, Back-Up Camera. FUEL EFFICIENT 50 MPG Hwy/54 MPG City! CLASSIC SILVER METALLIC exterior and MOONSTONE interior, XLE trim CLICK NOW! KEY FEATURES INCLUDE Heated Driver Seat, Back-Up Camera, Hybrid, iPod/MP3 Input, Bluetooth, CD Player, Aluminum Wheels, Keyless Start, Cross-Traffic Alert, Lane Keeping Assist, Blind Spot Monitor, Heated Seats Rear Spoiler, MP3 Player, Keyless Entry, Child Safety Locks, Steering Wheel Controls. OPTION PACKAGES ALL-WEATHER FLOOR LINER PACKAGE All-Weather Floor Liners, Cargo Liner. Toyota XLE with CLASSIC SILVER METALLIC exterior and MOONSTONE interior features a 4 Cylinder Engine with 121 HP at 5200 RPM*. BUY FROM AN AWARD WINNING DEALER This great value located at O'Brien Toyota in Indianapolis. See the difference being family-owned makes in your customer service. Our family works for you. Since 1933. Horsepower calculations based on trim engine configuration. Fuel economy calculations based on original manufacturer data for trim engine configuration. Please confirm the accuracy of the included equipment by calling us prior to purchase. Nav System, Heated Seats, Back-Up Camera. CLASSIC SILVER METALLIC exterior and BLACK interior, Limited trim. EPA 50 MPG Hwy/54 MPG City! SEE MORE! KEY FEATURES INCLUDE Navigation, Heated Driver Seat, Back-Up Camera, Hybrid, Satellite Radio, iPod/MP3 Input, Bluetooth, Aluminum Wheels, Keyless Start, Blind Spot Monitor, Smart Device Integration, Cross-Traffic Alert, Lane Keeping Assist, Heated Seats Rear Spoiler, MP3 Player, Keyless Entry, Child Safety Locks, Steering Wheel Controls. OPTION PACKAGES ALL-WEATHER FLOOR LINER PACKAGE All-Weather Floor Liners, Cargo Liner. Toyota Limited with CLASSIC SILVER METALLIC exterior and BLACK interior features a 4 Cylinder Engine with 121 HP at 5200 RPM*. WHY BUY FROM US This great value located at O'Brien Toyota in Indianapolis. See the difference being family-owned makes in your customer service. Our family works for you. Since 1933. Horsepower calculations based on trim engine configuration. Fuel economy calculations based on original manufacturer data for trim engine configuration. Please confirm the accuracy of the included equipment by calling us prior to purchase. Navigation, Heated Seats, Moonroof. EPA 50 MPG Hwy/54 MPG City! Limited trim, ELECTRIC STORM BLUE exterior and BLACK interior SEE MORE! KEY FEATURES INCLUDE Navigation, Heated Driver Seat, Back-Up Camera, Hybrid, Satellite Radio, iPod/MP3 Input, Bluetooth, Keyless Start, Blind Spot Monitor, Smart Device Integration, Cross-Traffic Alert, Lane Keeping Assist, Heated Seats. Rear Spoiler, MP3 Player, Keyless Entry, Child Safety Locks, Steering Wheel Controls. OPTION PACKAGES PREMIUM CONVENIENCE PACKAGE Power Tilt/Slide Moonroof w/Sliding Sunshade, Wheels: 15 Alloy, Tires: P195/65R15, ALL-WEATHER FLOOR LINER PACKAGE All-Weather Floor Liners, Cargo Liner. Toyota Limited with ELECTRIC STORM BLUE exterior and BLACK interior features a 4 Cylinder Engine with 121 HP at 5200 RPM*. OUR OFFERINGS This great value located at O'Brien Toyota in Indianapolis. See the difference being family-owned makes in your customer service. Our family works for you. Since 1933. Horsepower calculations based on trim engine configuration. Fuel economy calculations based on original manufacturer data for trim engine configuration. Please confirm the accuracy of the included equipment by calling us prior to purchase. Nav System, Heated Seats, Moonroof. FUEL EFFICIENT 50 MPG Hwy/54 MPG City! Limited trim, SUPERSONIC RED exterior and BLACK interior SEE MORE! KEY FEATURES INCLUDE Navigation, Heated Driver Seat, Back-Up Camera, Hybrid, Satellite Radio, iPod/MP3 Input, Bluetooth, Keyless Start, Blind Spot Monitor, Smart Device Integration, Cross-Traffic Alert, Lane Keeping Assist, Heated Seats. Rear Spoiler, MP3 Player, Keyless Entry, Child Safety Locks, Steering Wheel Controls. OPTION PACKAGES PREMIUM CONVENIENCE PACKAGE Power Tilt/Slide Moonroof w/Sliding Sunshade, Wheels: 15 Alloy, Tires: P195/65R15, ALL-WEATHER FLOOR LINER PACKAGE All-Weather Floor Liners, Cargo Liner. Toyota Limited with SUPERSONIC RED exterior and BLACK interior features a 4 Cylinder Engine with 121 HP at 5200 RPM*. BUY FROM AN AWARD WINNING DEALER This great value located at O'Brien Toyota in Indianapolis. See the difference being family-owned makes in your customer service. Our family works for you. Since 1933. Horsepower calculations based on trim engine configuration. Fuel economy calculations based on original manufacturer data for trim engine configuration. Please confirm the accuracy of the included equipment by calling us prior to purchase. Nav System, Heated Leather Seats, Third Row Seat, Moonroof. EPA 27 MPG Hwy/29 MPG City! BLIZZARD PEARL exterior and BLACK interior SEE MORE! KEY FEATURES INCLUDE Leather Seats, Third Row Seat, Navigation, Sunroof, All Wheel Drive, Power Liftgate, Rear Air, Heated Driver Seat, Back-Up Camera, Hybrid, Satellite Radio, iPod/MP3 Input, Bluetooth, CD Player, Aluminum Wheels. Rear Spoiler, MP3 Player, Keyless Entry, Remote Trunk Release, Privacy Glass. OPTION PACKAGES ALL-WEATHER FLOOR LINER PACKAGE (TMS) Cargo Liner, All Weather Floor Liners. Toyota Hybrid XLE with BLIZZARD PEARL exterior and BLACK interior features a V6 Cylinder Engine with 306 HP at 5800 RPM*. VISIT US TODAY This great value located at O'Brien Toyota in Indianapolis. See the difference being family-owned makes in your customer service. Our family works for you. Since 1933. Horsepower calculations based on trim engine configuration. Fuel economy calculations based on original manufacturer data for trim engine configuration. Please confirm the accuracy of the included equipment by calling us prior to purchase.